Make your way from the island of Mahe to Praslin Island with ease on this 1-hour fast ferry. 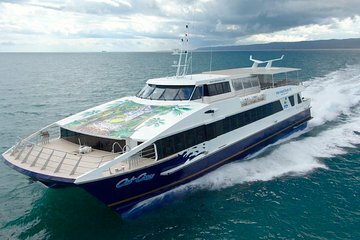 The Cat Cocos Ferry is a simple and easy way to get to your destination and has many destination times throughout the week. Visitors can book a one-way or round-trip ticket and choose from lower deck, upper deck, and business class seating options for your journey.